Congratulations to Greater Fauquier Baseball Little League, your VA District 16 Junior Baseball Champions! 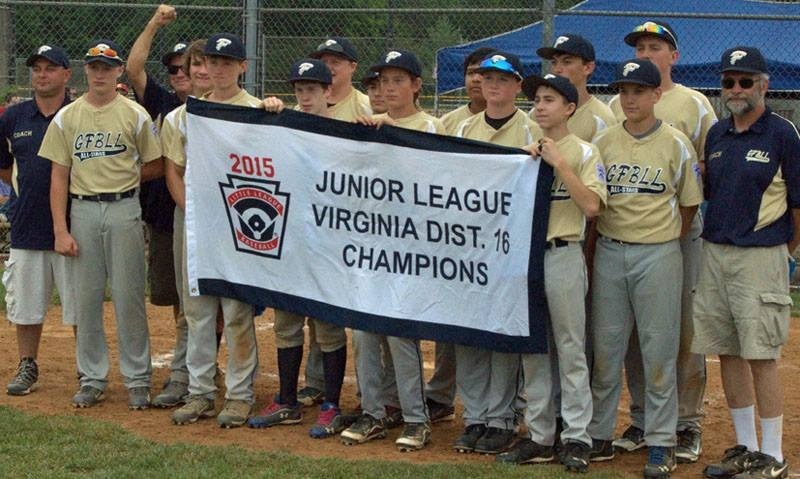 GFBLL will represent our district at the Virginia State Junior Baseball Tournament in Big Stone Gap starting July 23. Hosted by Lower Loudoun Little League at Claude Moore Park in Sterling. The tournament director is Mark Wood. Warmups start 90 minutes before game time. The closer team gets 25 minutes of batting time on the field, followed by the further team. Five minutes after the end of the second batting time, the closer team gets 10 minutes of infield time, followed by the further team.